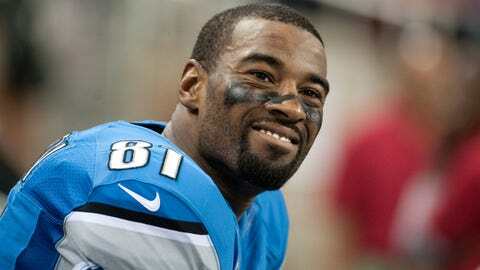 Lions WR Calvin Johnson was clueless when asked. The Detroit Lions are playing in London this week, so of course the team’s PR department is going to do a bunch of ridiculous things. For example, in this video, the Lions were first told a typical British term — "kerfuffle" — and then asked for the meaning. A kerfuffle is described as either a "disturbance" or "fuss" by Meriam-Webster’s dictionary, but most of the Detroit players didn’t know that. In fact, many of them thought it was a name for some sort of food. Watch the Lions struggle to come up with answers in the video player below.